In Memoriam: Sweet, Sad Rocker Vic Chesnutt Fresh Air remembers the life of Vic Chesnutt, a singer-songwriter discovered by R.E.M. frontman Michael Stipe in the '90s. Chesnutt recently collaborated with Guy Picciotto of the band Fugazi on his latest album, At the Cut. Chesnutt died Dec. 25; we hear excerpts from his Dec. 1 conversation with Terry Gross, and reflect on his life with Stipe, Picciotto and filmmaker Jem Cohen. 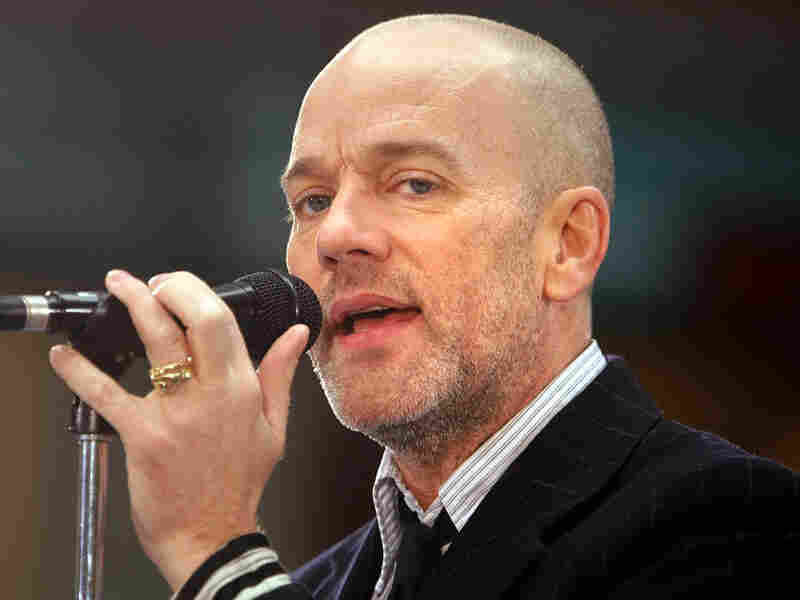 In this hour: Reminiscences from Michael Stipe (pictured), Guy Picciotto and Jem Cohen — plus excerpts from Chesnutt's December 2009 conversation with Terry Gross. In 1983, at the age of 18, singer-songwriter Vic Chesnutt was in a car accident that changed his life. 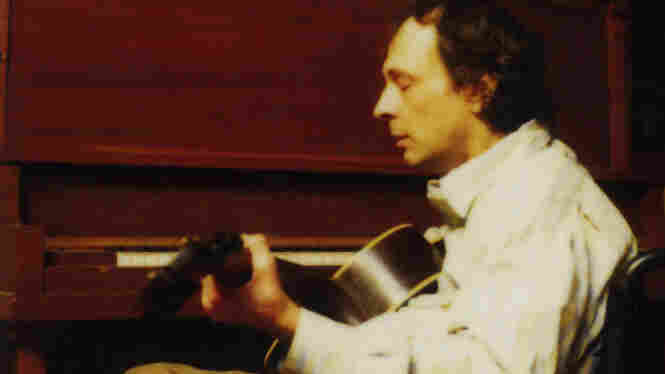 He was left partially paralyzed — he lost the use of his legs, and his hands and arms were compromised — but in the wake of the crash he also began to focus more on his music, and seven years after the accident, Chesnutt recorded his first album. After a 1992 PBS documentary broadcast his story, celebrated musicians — including Nanci Griffith, Garbage, Madonna and Sparklehorse — came together to record a tribute album in 1996, entitled Sweet Relief II: Gravity of the Situation. Over the years, Chesnutt recorded more than 15 albums and became celebrated for a dark vision and a Southern Gothic storytelling style. He became known, too, for songs that explored an awareness of — and flirtation with — his own mortality. In a conversation with Terry Gross in early December, 2009, Chesnutt talked about his inspiration for the song "Flirted With You All My Life" from his latest album, At The Cut. "Well, it occurred to me that I would like to sing this song where, at the first half of it, you think I'm singing it about a lover, and then it becomes obvious that I'm singing about death. Death is my lover." In that interview, Chesnutt acknowledged that he'd tried to kill himself more than once, both before and after his accident. But he told Terry Gross that "Flirted With You" wasn't about wanting to die, precisely. "You know, I've attempted suicide three or four times," he said. "It didn't take. And this is really a breakup song with death." Death proved a jealous lover. Chesnutt died on Christmas Day, 2009, two days after taking an overdose of muscle relaxants. Fresh Air remembers him with excerpts from that December 2009 interview with Chesnutt and guitarist Guy Picciotto, the Fugazi veteran who collaborated with Chesnutt on At the Cut. Picciotto returns in the second half of today's show to remember his close friend and collaborator. Also in the Fresh Air studio are R.E.M's Michael Stipe, who discovered Chesnutt playing in a bar in Athens, Ga., and produced his first two albums, and photographer-filmmaker Jem Cohen, who worked with Chesnutt on several film and video projects.